For many foreign nationals that are unaware, there is a difference between an Open Work Permit and a Closed Work Permit. 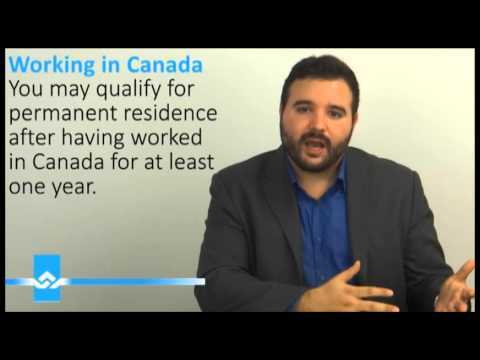 If you would like to work in Canada and would like to know more information with regards to work permits in Canada, then this video is for you. Watch our video above on the difference between an Open Work Permit and a Closed Work Permit and other important information regarding both work permits. If you would like to apply for an open work permit or a closed work permit but are unsure what documents to include with your application or how to get started then please don’t hesitate to contact us at 416-477-2545. Our immigration experts will be glad to assist you with your immigration matter. There are many foreign nationals from around the world that have many questions and are curious about working and employment in Canada. Before applying for a work permit, it is important to understand what is required from you and if you are eligible. Watch our vide above on common work questions answered by Ms. Akrami and other important information with regards to working in Canada. If you would like to work in Canada but are unsure what documents to include with your application or how to get started then please don’t hesitate to contact us at 416-477-2545. Our immigration experts will be glad to assist you with your immigration matter. Did you know that not everyone needs an LMIA based work permit or even a work permit to enter Canada for employment? A work permit is a document that authorizes foreigners to work in Canada. There are two types of work permits: an employer-specific work permit and an open work permit. There are certain conditions applied to a work permit. Watch our video above on labour market impact assessment exempt work permits in Canada and who qualifies for these specific work permits. If you would like to apply for a work permit but are unsure what documents to include with your application or how to get started then please don’t hesitate to contact us at 416-477-2545. Our immigration experts will be glad to assist you with your immigration matter. Canada has many resources and opportunities for people not only inside Canada but also outside of Canada in order for them to gain work and gain adequate experience. Every year thousands of non-Canadians enter Canada on work permits. There are different types of work permits available in order to work in Canada. Watch our video below to find out which work permit best suits you and steps in obtaining a work permit in Canada. If you would like to apply for a Canadian work permit but are unsure what documents to include with your application or how to get started then please don’t hesitate to contact us at 416-477-2545. Our immigration experts will be glad to assist you with your immigration matter.